SanKritiLaya is pleased to announce the Spring 2009 concert tour of Ms. Sowmya accompanied by R.K.Shriramkumar on the violin and Neyveli Narayanan on the mridangam. Ms. Sowmya is a disciple of Sangita Kalanidhi Dr. S. Ramanathan and Smt. T. Muktha, of the legendary Brinda-Muktha duo. A Carnatic musician by profession, Sowmya’s life has been soaked in melody from the very beginning. Growing up in a traditional South Indian family, she had her initial tutelage in music from her father Dr. Srinivasan, a Chemical Engineer with an enduring passion for Carnatic Music. She attributes her success and achievements till today to these individuals and to the bountiful blessings of her beloved Ambal, the Goddess Kamakshi of Kanchipuram. 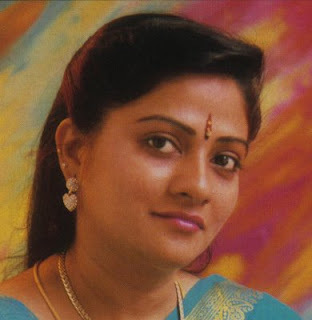 The desire to propagate the traditions of South Indian music worldwide led her to associate with her friend and vocalist Shashikiran, to establish Carnatica, an institution dedicated to music & dance instruction, archival, talent search and other related activities. Carnatica’s web portal is now a popular online destination for music-related information, products, courses and discussions. In addition to being an accomplished musician, Sowmya also has excellent academic credentials. She is a double postgraduate (Master’s in Chemistry as well as Indian Music) and was a top-ranked scholar at the Indian Institute of Technology, Madras (IIT-M) and the University of Madras. She is a recipient of the Srirangam Gopalaratnam Award, 1997 and 2005, T. R. Rajagopala Iyer Award (Best Raga Alapana), 1995, D.K. Pattammal Award, 1988, T.V. Subba Rao Award, 1989, D.K. Pattammal & T.V. Subba Rao Award, 1990, and Kshetragnar Padam Prize, 1985. Please visit Sowmya's website for more information on the artist. R.K. Shriramkumar, grandson of veteran violinist “Sangita Kalaratna” Shri R.K. Venkatrama Sastri, in addition to giving solo concerts, has accompanied doyens like Semmangudi, MS Subbulakshmi, DK Pattammal, DK Jayaraman, T. Brinda, KV Narayanaswamy, TV Sankaranarayanan, TN Seshagopalan, Dr. N. Ramani, and Dr. M. Balamuralikrishna. Neyveli Narayanan Sri. 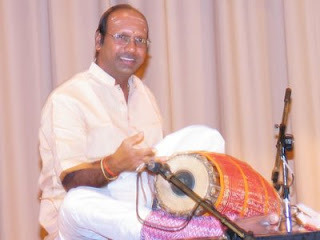 Neyveli Narayan, recipient of the “Best Mridangam Player” Award 1995, 1997 & 1998, was initiated by Sri. S.K. Ganesa Pillai and later honed his skills under late Thanjavur Sri Upendran of the Thanjavur style. Narayanan is currently a disciple of Padmashri Umayalpuram Sri. K. Sivaraman. Narayanan has accompanied veterans such as Madurai TN Seshagopalan, TV Sankaranarayanan, TR Subramaniam, KV Narayanaswamy, Mandolin Srinivas, Ravikiran and N. Ramani.